Note: In the above graph the Blue Line represents the descending curve. 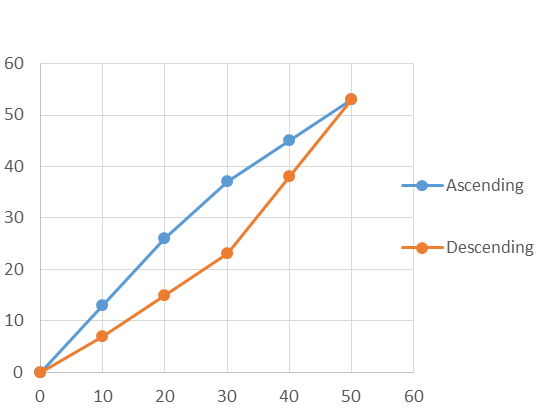 The difference in output on an ascending curve versus a descending curve can be quite significant. A very good 100K load cell had an output of -2.03040 on the ascending curve and -2.03126 on the descending curve. Using the ascending only curve would result in an additional error of 0.042 %. The common term to describe this result is hysteresis. Hysteresis is defined as the algebraic difference between the output at a given load descending from the maximum load and the output at the same load ascending from the minimum load. This is normally expressed as a % of full-scale output. In this post, we are only looking at the percentage difference between the same force point, ascending versus descending. If someone were to use the ascending calibration curve to make descending measurements, the difference between the ascending and descending points would be significant measurement error. Morehouse sampled several instruments and recorded the following differences. 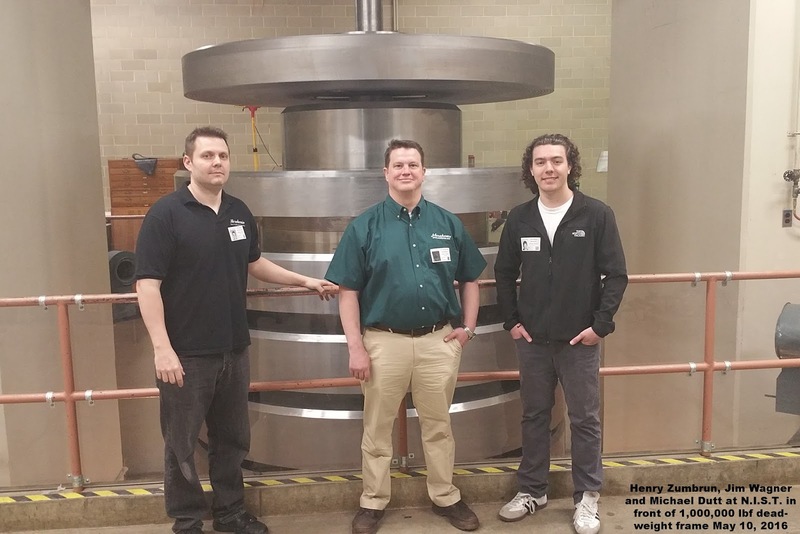 Load Cells from five different manufacturers were sampled and recorded the results. The numbers varied from 0.007 % (shear web type cell) to 0.120 %. On average, the difference was approximately 0.06 %. Six of the seven tests were performed using dead weight primary standards known to be accurate within 0.0016 % of the applied force. 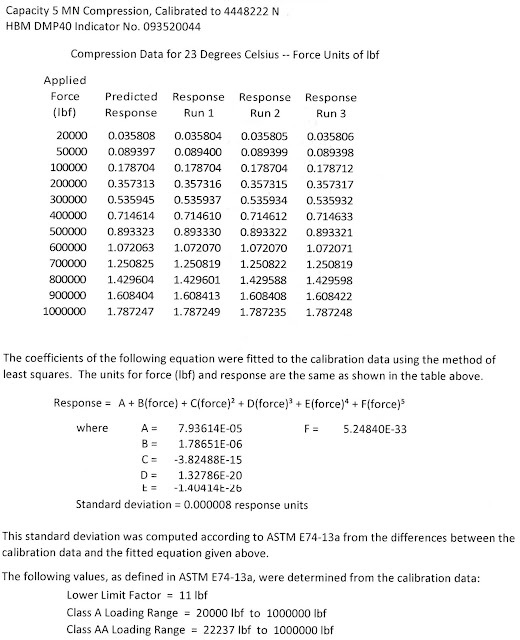 The conclusion from these tests is clear: If a load cell is going to be used to calibrate both ascending and descending forces, it must be calibrated in both modes. Additional comments: When the load cell is used to calibrate decreasing forces, it must be loaded to the maximum force at which it was calibrated to ensure repeatable results. Ascending and descending calibration is typically required for low cycle fatigue machines, nuclear requirements, and universities conducting a lot of research and development. 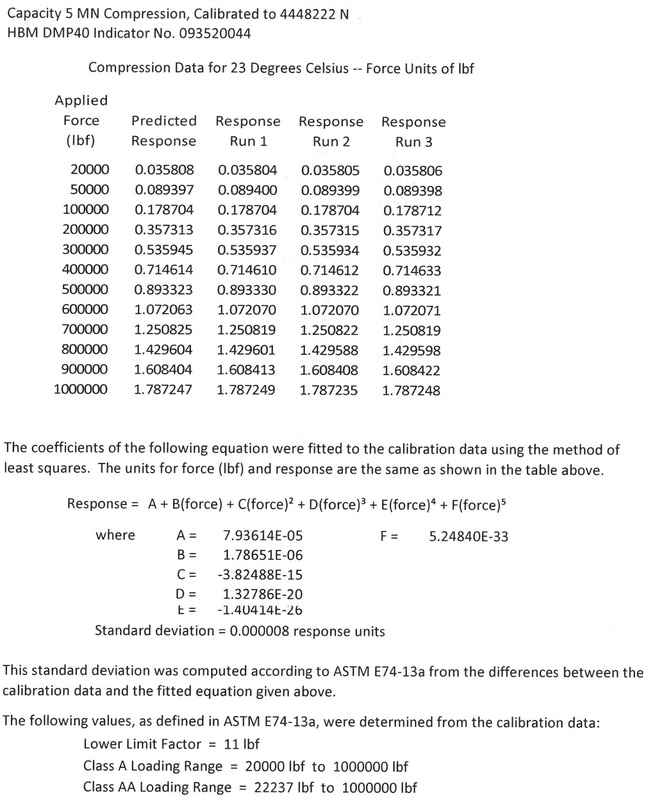 If a load cell is calibrated in accordance with the ASTM E74 standard and a combined curve is used, the end user could use the load cell anywhere in the loading range. The downside to this method is that the combined curve will produce a Lower Limit Factor large enough to encompass any point within the loading range. If the end user cannot always load the reference standard to capacity and wants a smaller LLF, they will need to have the load cell tested with several hysteresis loops for every capacity they wish to calibrate. For any force-measuring instrument, the errors observed at corresponding forces taken first by increasing the force to any given test force and then by decreasing the force to that test force may not agree. Force-measuring instruments are usually used under increasing forces, but if a force measuring instrument is to be used under decreasing force, it shall be calibrated under decreasing forces as well as under increasing force. Use the procedures for calibration and analysis of data given in Sections 7 and 8 except where otherwise noted. When a force-measuring instrument is calibrated with both increasing and decreasing forces, the same force values should be applied for the increasing and decreasing directions of force application, but separate calibration equations should be developed. NOTE 4—For any testing machine the errors observed at corresponding forces taken first by increasing the force to any given test force and then by decreasing the force to that test force, may not agree. Testing machines are usually used under increasing forces, but if a testing machine is to be used under decreasing forces, it should be calibrated under decreasing forces as well as under increasing forces. Example: On our 1,000,000 lbf standard calibrated by N.I.S.T, the ascending LLF is around 11 lbf and the descending LLF is around 12 lbf. Since we cannot always descend from 1,000,000 lbf, we must use the combined curve that has an LLF of around 58 lbf. Everything we do, we believe in changing how people think about force and torque calibration. Morehouse believes in thinking differently about force and torque calibration and equipment. We challenge the "just calibrate it" mentality by educating our customers on what matters, what causes significant errors, and focus on reducing them. Morehouse makes our products simple to use and user-friendly. And we happen to make great force equipment and provide unparalleled calibration services.